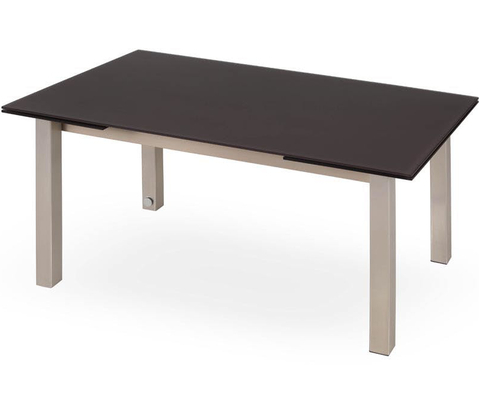 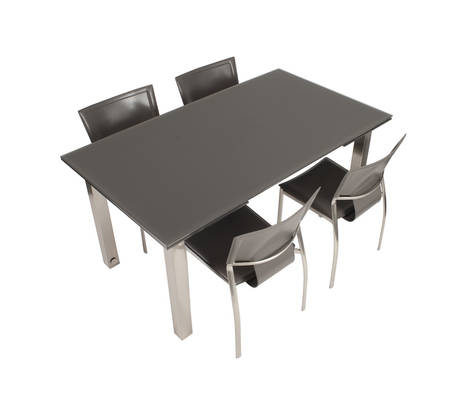 This sleek extendable table with either a chrome plated or satin nickel frame. 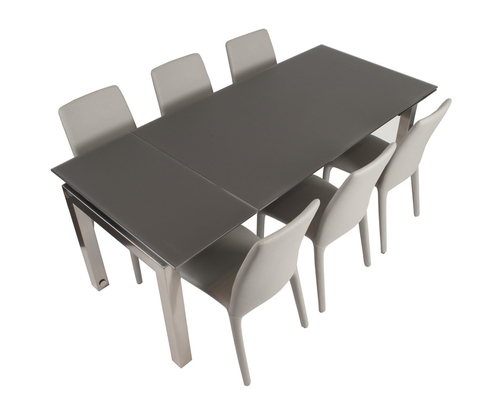 The Morione is meant for the active household who host parties regularly, with not just one but two hidden extension leaves, turning a six-seater to a potential 10 seater. 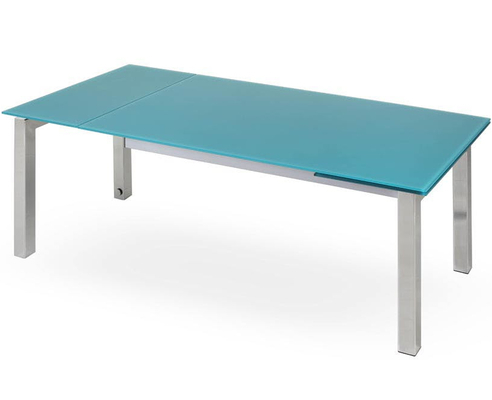 Available in seven colors of acid glass.